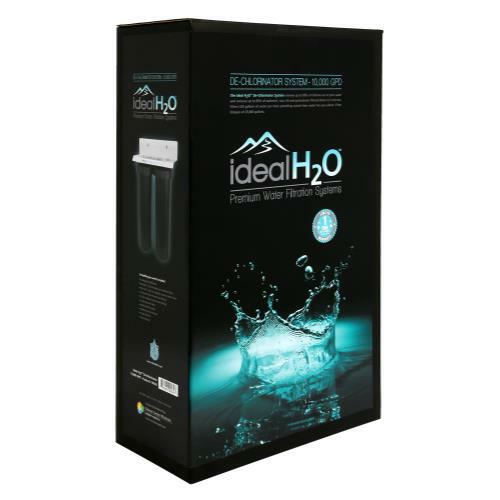 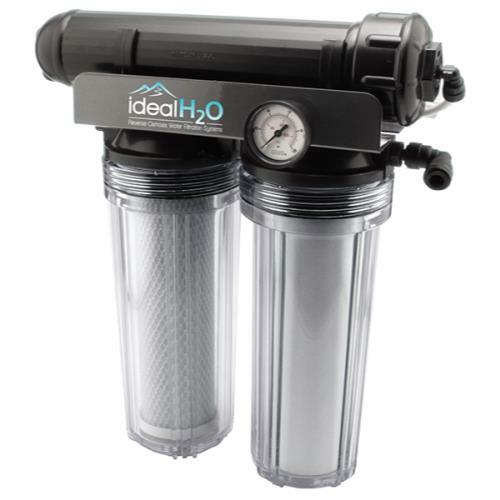 The Ideal H2O 4.5 in x 20 in 10,000 GPD De-Chlorinator removes up to 99% of chlorine and chloramines out of your water, as well as removing up to 90% of sediment, rust, silt, etc. 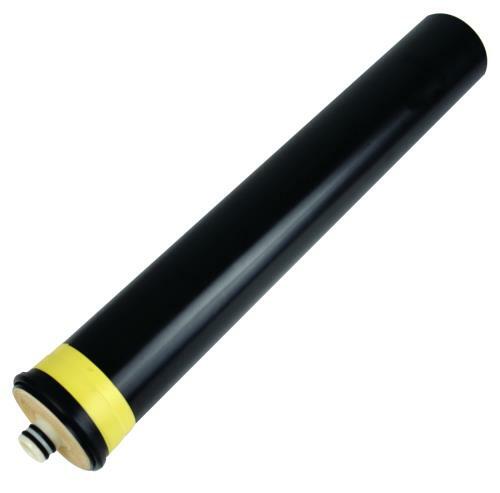 and volatile organic compounds and particulates down to 5 microns. 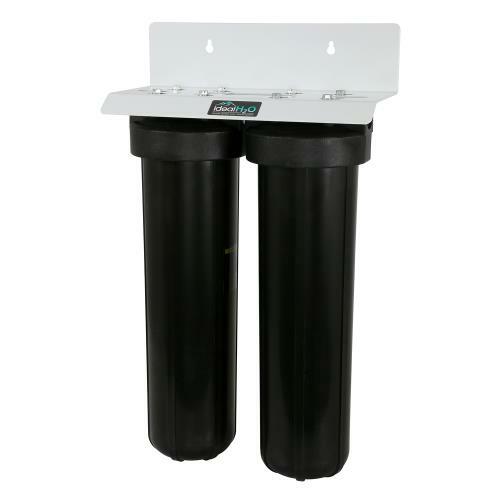 Filters 420 gallons of water per hour, providing crystal clear water for your plants. 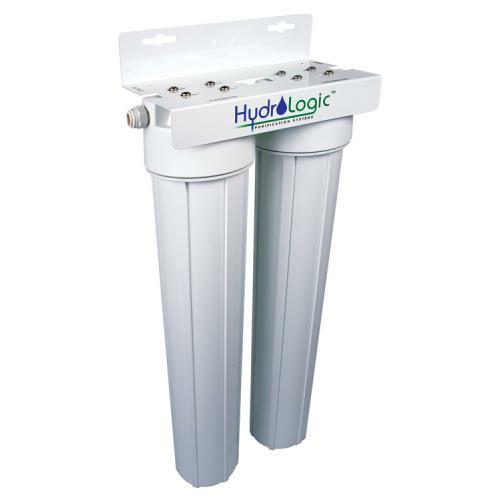 Includes: Two Stage 4.5 in x 20 in De-Chlorinator unit with wall mount, garden hose connector, 5 ft feed line and outlet line, 3/8 in shut-off, filter wrench and instructions.